Meade 10" LX90 ACF and Neximage5..
That really looks nice. 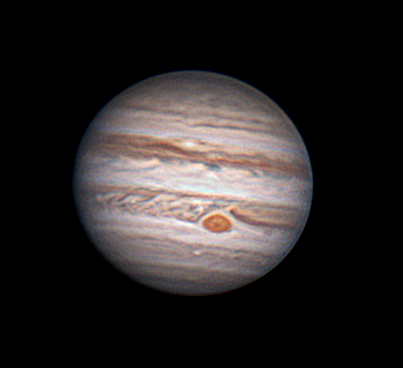 I looked at Jupiter the other night, but have not had a chance since then. If I can get clouds to clear good enough, I will look again with my HD 60 eyepieces and the LX 70 Mak OTA. Your image inspires me! Another great shot Spiral! Thanks for sharing.